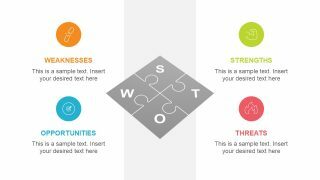 The awesome infographic presentation of Detailed SWOT Analysis PowerPoint Template is an evaluation tool. 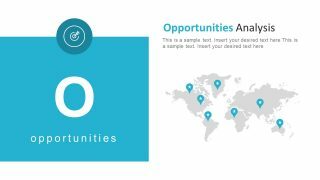 The business organizations can describe the factors in an incredibly appealing format with the pointers to add details. The SWOT acronym for Strength, Weaknesses, Opportunities and Threats involve in a project or business ventures. The PowerPoint is an exceptional way to present SWOT analysis or explain its concept. 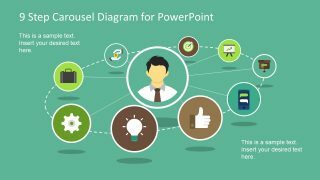 Further, this PowerPoint template here contains the beautiful infographic icons and shapes of flat design vector diagram. It includes templates like bar chart, vertical breakdown structure, donut chart and world map. Although, this presentation is design with content to reflect the evaluation components define by organization. 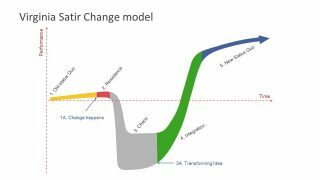 However, it is useful for academic purposes to demonstrate the complexity of SWOT model with graphics. It can certainly help provide a lasting impact on students. 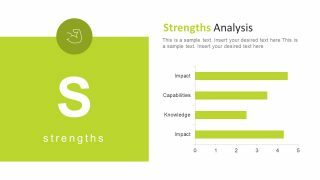 The Detailed SWOT Analysis PowerPoint Template has 6 incredible slides which are fully editable. 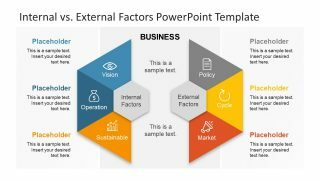 This PowerPoint template has one overview slide containing all the factors as SWOT matrix. The puzzle shape helps visualize the interdependencies of internal and external factors. 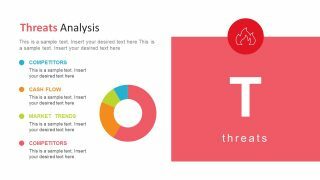 Additionally, the four slide templates represent the strengths, weaknesses, opportunities and threats by highlighting them individually. 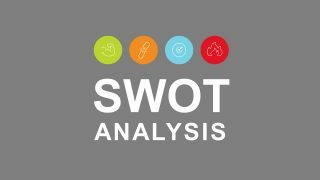 Demonstrate the widely common yet powerful marketing and business tool in detailed SWOT analysis presentation. Also, use for planning and evaluation of startup ideas and innovative ventures. Alter the textual content, color or size of graphics and icons to personalize the template. The customization in design of SWOT analysis template may not take more than few minutes. 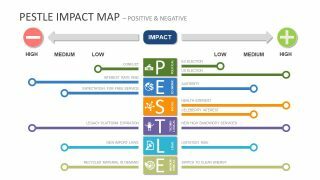 The SWOT analysis PowerPoint has several options to make changes in editable template. For instance, select a shape or chart and go to the drawing format to modify the shape fill color. The presentation has PowerPoint icons to represent all four terms of analysis. These include, weak chain link, arm muscles for strength, arrow on dart board and fire. 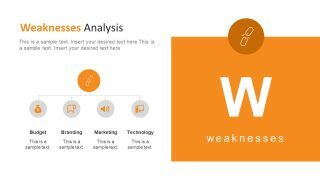 Find more eye catching designs of SWOT templates for PowerPoint in Slide Model catalog.